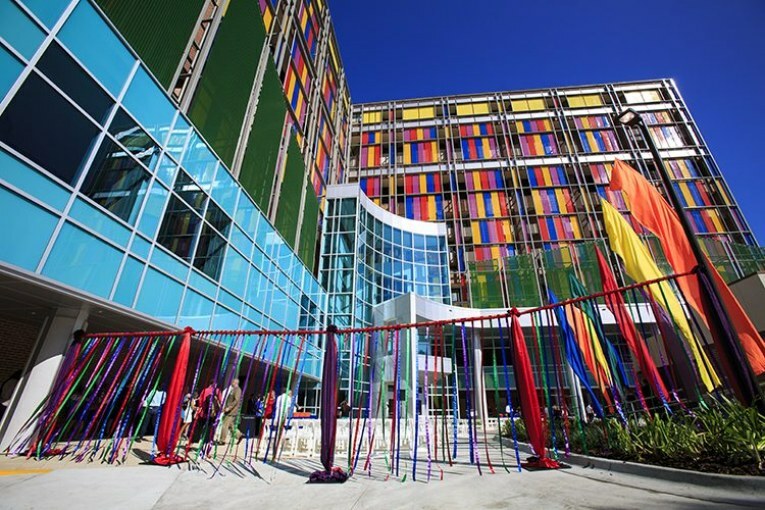 The University of Florida Health Shands Children’s Hospital has been recognized as one of the nation’s best hospitals for children in seven medical specialties, according to rankings released by U.S. News & World Report. In its annual Best Children’s Hospitals rankings for 2015-16, U.S. News & World Report listed the following UF Health pediatric specialties as among the nation’s best: diabetes and endocrinology (16th), cardiology and heart surgery (29th), cancer (29th), pulmonology (34th), neonatology (37th), nephrology (40th) and gastroenterology (49th). UF Health Shands Children’s Hospital was one of only three hospitals in Florida to be ranked in seven pediatric specialties. U.S. News’ Best Children’s Hospitals rankings list the top 50 hospitals in each of 10 specialties, including cancer, cardiology and heart surgery, diabetes and endocrinology, gastroenterology and GI surgery, neonatology, nephrology, neurology and neurosurgery, orthopedics, pulmonology and urology. UF Health Shands Children’s Hospital was one of 83 hospitals across the country that U.S. News ranked in at least one of these specialties. “This ranking is a testament to the work our physicians, nurses and staff do every day to treat the thousands of children with serious illnesses who come to us from nearly every county in Florida, more than 40 states and about a dozen other countries,” said Ed Jimenez, chief executive officer for UF Health Shands. UF Health Shands Children’s Hospital was the highest-ranked Florida hospital for diabetes and endocrinology as well as for cancer, which rose from being ranked 41st nationally last year. To obtain the rankings, U.S. News & World Report collects survey information about patient data and outcomes directly from hospitals and also queries pediatric specialists and subspecialists to factor in each hospital’s reputation; approximately 11,000 physicians were surveyed over the last three years and asked where they would send children with the most challenging cases in their specialty, regardless of location or expense. The reputation score counts for one-sixth of each hospital’s ranking, while care-related data and patient outcomes account for five-sixths of the score. The full rankings and methodology are available at http://health.usnews.com/best-hospitals/pediatric-rankings and will be published in the U.S. News “Best Hospitals 2016” guidebook, which will be available Sept. 1.